Maja Assad and Rida Azar’s wedding happened after a 10-year relationship and a foiled marriage proposal. The daughter of Joe and Vicky Assad would vacation in Lebanon every Christmas and during the summer. She had family there, her father Joe being of Lebanese descent. During one holiday, then 16-year-old Maja was introduced to Rida and it was puppy love instantly and mutually. Despite her father’s strong objections, the high school sweethearts maintained a long-distance relationship that lasted over a decade. They both forged a career in the jewelry business. 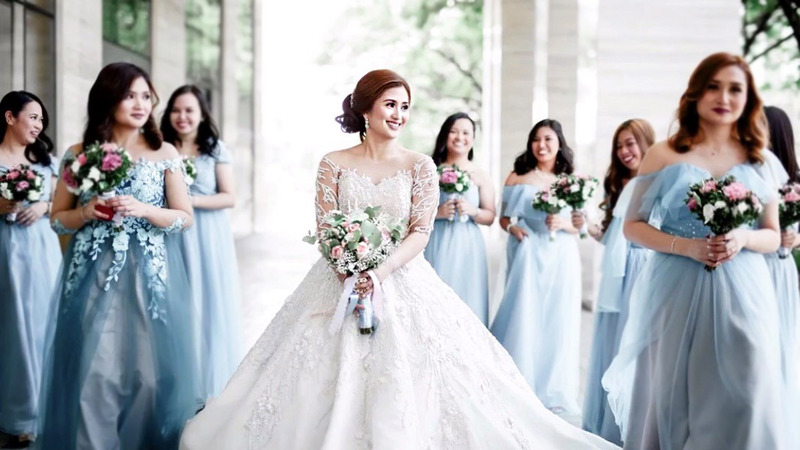 It was a natural direction for Rida, whose family is a leader in the jewelry trade while Maja’s artistry found a creative outlet in designing joaillerie. During a jewelry show in Singapore they attended annually, Rida was prepared to propose at a Michelin-star restaurant, making arrangements with the chef in advance. Unfortunately, a client stayed longer than expected and a tired Maja opted to rest after the meeting. The following evening, Rida invited Maja for a dinner at Chef Gunter’s restaurant. Conspiring with the chef-owner, he popped the question when the chef himself served the last course of wagyu steak with the ring on it. “That night, I said yes to my best friend,” Maja says. It took a whole year of planning for the wedding that brought family and friends together from all over the world to Beirut. 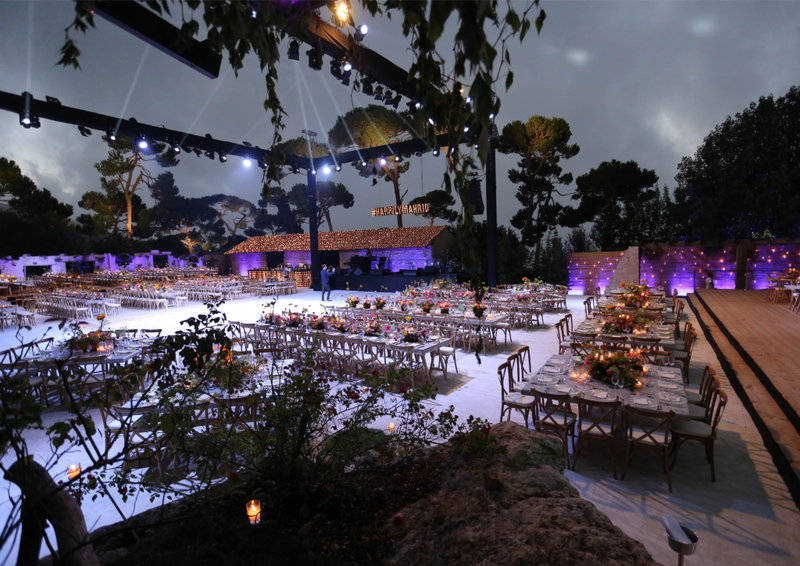 The Lebanese like to party and Maja, together with Rida’s mother Joumana, worked together with well-known wedding planner Paul Nasr for an extravaganza that began days before the wedding. More than 700 guests arrived and were treated to a round of lunches and dinners two days prior to the actual wedding date. There was even a reception in the home of the bride’s grandmother before the sunset ceremony in the Church of Saints Peter and Paul. Maja walked down the aisle in a gown by Lebanese designer Sandra Mansour, which took nine months to make. Rida waited at the altar in his Brioni suit. They exchanged rings designed by Rida and executed by the family’s Azar Gems. Maja was decked in jewelry, which Rida also created, from her headpiece to her earrings. After the rites of marriage, the wedding party motored to Woodland in Bikfaya Mountains for the reception. A set-up had been constructed for dinner, a program and dancing that lasted till 7AM of the next day. There were performers, DJs, a live band and copious food and drinks. Despite the size of the place and the number of people, the celebration was marked by a sense of intimacy. People who had never met, got up to dance together to the lively music. There were poignant moments, particularly when the father of the bride spoke during the program.